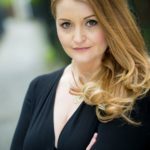 Hailing from Llanberis in North Wales and residing in Cardiff, Mari Wyn Williams completed a Post Graduate Diploma in Vocal Studies whilst attending the Royal Welsh College of Music and Drama. Mari continued her studies completing a Masters Degree at the Welsh International Academy of Voice, achieving distinction, under the tuition of Dennis O’Neill. In September 2013 Mari won third place at the Montserrat Caballé Competition in Zaragoza. Other competitions successes include finalist at the London Wagner competition and finalist at the Elizabeth Connell competition in Sydney. In 2016 Mari was one of the Alvarez Young Artists at Garsington Opera and covered the rôle of Elettra (Idomeneo). Other engagements include Helmwige (Die Walküre) for Grange Park Opera, The title role in Tosca for Opera Project at the Tobacco Factory in Bristol, and Woglinde (Götterdämmerung) for The Mastersingers. In November 2017 Mari performed the role of Aida in Hannah Conway’s new work Towards Another World that premièred at the Victoria and Albert Museum as part of the English National Opera Baylis community project. Most recently Mari performed the role of Inez (Il Trovatore) for Winslow Hall Opera. Mari is also the recipient of The Mastersingers’ Carole Rees Scholarship 2018.